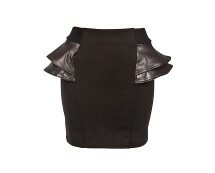 Show off your rock chic style and make a statement in this leather look pencil skirt. 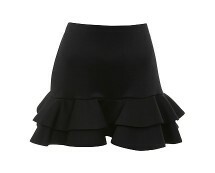 Why not turn old Levi's jeans into a stunning skirt!? 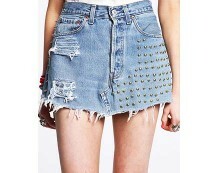 This high waisted studded denim mini skirt will add a rock-chick style to your outfit.